Have you looked in the mirror recently and didn’t like the sight of the acne on your face? Well, you shouldn’t despair! There are myriad ways that you can apply to eliminate them entirely. The most crucial element of all the possible elimination methods is the ability to select the ideal method and stick to it with unwavering consistency. Does that sound complex to you? This document will break down the process for ease of comprehension. We’ll elucidate on the methods that you can apply to resolve the acne menace! While hormonal variation may contribute to the emergence of acne on your face, its contribution to adult pimples is significantly reduced. The cause is primary in teenage acne as explained in teenage acne treatment site. Also, there exists a chance that your lifestyle is influencing the acne status on your face. The food you eat as well as the stress level contribute to changes in the hormone levels which in turn lead to the emergence of face and chest acne. Enlarged Pores. You probably don’t understand how the pores on your skin can be enlarged, right? Well, stress, sun, and cigarette smoking do a great injustice to your skin! When it is exposed to these substances, the pores stretch open due to an immense degradation of collagen and other skin structures. As a result, more oil gets into the skin leading to clogging and consequently causing pimples. You should always ensure that you use retinol products to restore the integrity of collagen on your skin. Use of Wrong Products. The nature of your skin should determine the type of products you apply to your face. If you have an oily skin, you should use oil-free or water-based skin products to prevent acne breakout due to excess oil. Read how to prevent acne for more insights. You can also use a gel-based moisturizer to ensure that there are no chances of clogging your pores. Intense and Frequent Cleansing. You should always avoid over washing your face to avoid drying out your skin. An ideal frequency is twice daily. When you scrub or exfoliate your skin too much, there is a chance that you will experience pimples especially if your skin is acne-prone. Also, astringent products that contain alcohol may lead to irritation, redness, and eventual acne on your face. You should, therefore, avoid such products to maintain the integrity of your skin. The type of treatment you adopt determines the agility of recovery. As such, you should be careful to ensure that you choose the best methods. When making the choice, you should consider possible allergic reactions, the nature of your skin, and the ease of application of the specific method. Never use Benzoyl Peroxide if you have skin irritations history! Also, we recommend that you apply natural techniques especially if you have a sensitive skin or you’re suffering from cystic acne. Read on to find a detailed analysis of how to cure acne and maintain a spotless skin. If you’ve tried every natural method and nothing seem to give you relief, then you should consider visiting your pharmacy for an OTC product. 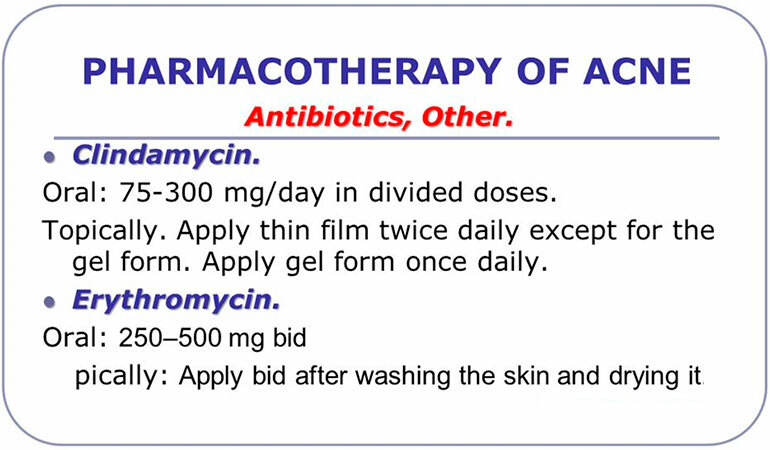 Topical Antibiotics. These products come in different formulations including cream, gel, and lotion to give you the convenience to choose the best for your skin. The antibiotics used include clindamycin and erythromycin due to their ability to kill a broad spectrum of bacteria. You can obtain these products from the nearest pharmacy without a prescription. However, you should avoid misusing the antibiotics since the bacteria can easily develop resistance to the products. Visit antibiotics for acne for more information. Only use them when you really need to treat cystic acne or any other form of stubborn pimples. 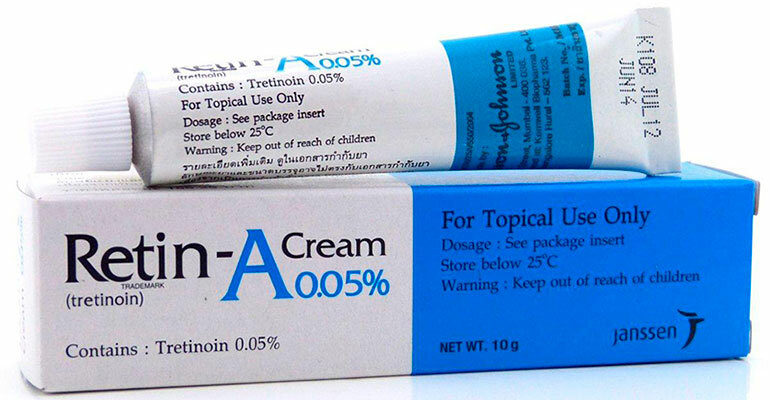 Topical Retinoid. These creams will revolutionize your acne-fighting experience by restoring the integrity of your skin within a few days! They are made out of tretinoin, adapalene, and tazarotene which are helpful in removing the spots left behind by acne. Additionally, these products have a unique ability to unclog the skin and allow more aeration thus increasing the rate of acne elimination. Retinoid creams have a skin drying effect which may lead to the destruction of the skin. As such, you should use the products with other acne remedies such as glycolic acid. The combination will prevent drying and flaking of your skin allowing a quick recovery. Benzoyl Peroxide Creams. These products have been proven to work against acne within a few days of application. They work by preventing clogging of skin pores, inhibiting bacterial growth, and cleaning off the dirt on the surface of a pimple. The product eliminates the acne-causing microorganisms fast which reduce any chances of the bacteria developing resistance. 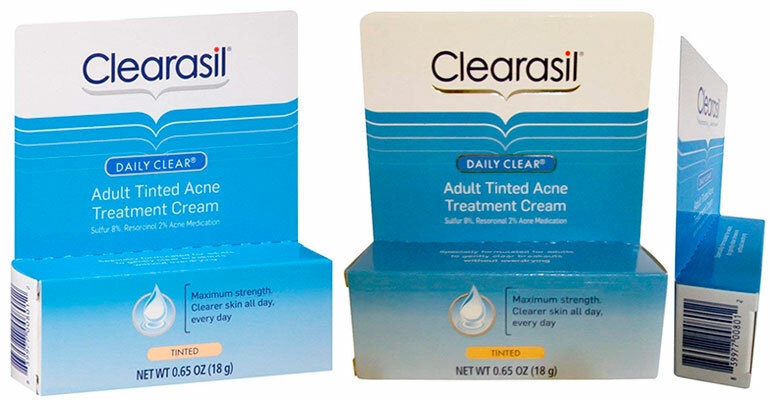 One of the commonly used brands is Clearasil which is an inexpensive medicine to get rid of the pimples! You’ll find this product in any chemist around your home. There are several factors that determine the ideal treatment method for eliminating adult acne. They include severity and type of the acne; skin sensitivity; and personal preference based on beliefs and past experiences. However, it is critical to note that the best technique should not only offer relief from the itching, redness, and roughness associated with the condition but also eradicate the blemishes left behind by the acne. Based on these factors, the best acne treatment is the use of retinoid creams that have astringent and antibacterial properties. The creams will work by unclogging your skin and opening up the pores which ensure that there are zero chances of acne recurrence. They restore the collagen which ensures that you regain your smooth skin and act as the best acne spot treatment strategy! The skin is a highly sensitive body organ and you should prevent the use of excessive chemicals as well as the ultra-violet rays since they have the potential to derail the healing process. During the treatment process, you should ensure that you wear sunscreen products and avoid contact with unnecessary chemical substances. You’ll opine that prevention of the acne is better than the treatment. Wash your face twice daily. Keeping a clean face is the surest way to avoid acne. The process removes the extra oil, impurities, and dead cells thus keeping your skin rejuvenated. You should, however, avoid overdoing it since it’ll derail your effort to maintain a flawless face. Also, avoid harsh scrubbing of your face using exfoliating gloves or soaps that will cause irritation and worsen the situation. Moisturize your skin. Your skin should be moisturized to ensure that it does not dry out which may otherwise lead to peeling off and accelerate the clogging of your pores thus leading to the emergence of acne. You should ensure that you moisturize your face twice daily with a non-comedogenic lotion to keep the acne at bay. Avoid Overusing Make Ups. While you may need makeups to maintain the beauty of your skin, it is necessary that you cautiously apply the products. You should ensure that you use one brand that is ideal for you and that which does not cause harmful allergic reactions. It’s advisable that you consult your dermatologist before applying new products on your face to determine their suitability. Some products work best on specific types of skin and may have adverse effects if not applied properly. Also, you should ensure that you wash off the makeup at the end of the day. There are numerous solutions to restore your smooth skin. This article has enumerated several methods of eliminating the acne which, if properly adhered to, will revolutionize your acne-eradication battle. These methods work differently and you should know your skin type and sensitivity before application.